Promotional value expires 120 days after purchase. Amount paid never expires. Appointment required. Merchant’s standard cancellation policy applies (any fees not to exceed voucher price). Limit 1 per person, may buy 1 additional as gift(s). May be repurchased every 90 days. Merchant is solely responsible to purchasers for the care and quality of the advertised goods and services. In 2019, a team of automotive enthusiasts founded the premium auto care center Three-Sixty Detailing. 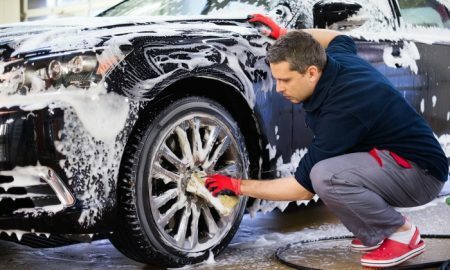 Their professional staff uses state-of-the-art equipment and eco-friendly products to provide hand car wash and detailing services for cars, truck, SUVs, and other vehicles.